Mr. Malcolm Xavier Hiers, affectionately known as “Staccs” was born on July 14, 1990 in Florence, SC. He was the son of Mr. Frank aka “Pig” Hiers and Ms. Monica aka “Monie” Gregory. Malcolm attended the Public Schools of Florence County and later in life worked at the Honda plant in Florence, SC. He was a “SMILER”. He loved his family. If he bonded with you, it was a bond for life. It was easy to love Malcolm because of his golden heart. His grandparents, aunts and uncles meant the world to him. The center of his joy was his seven babies. His conditional love for his brothers and sisters was felt by them even when near or far. Malcolm loved his mother and father. Malcolm and Monica loved each other hard and over the last few years became almost inseparable. Malcolm was preceded in death by his grand-father Edward Thomas , great grand father Frazier Gregg, James Muldrow, Milton Hiers and Enoch Thomas Jr. His great grandmother Retha Edwards Gregg, Edell Muldrow, and Mozella Hiers. Great aunt Betty Pringle and two uncles Frazier Gregg Jr and Joseph Thomas. 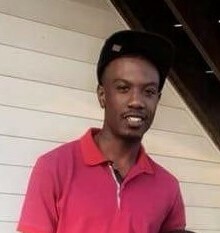 Left to cherish his memories are his father Frank Hiers Jr, his loving mother Monica Gregory, his brother Shyquiz Hyman and his sister Renisha Myers. Childern: Ma’Kharri Xavon Hiers, Ma’Siah Xzavier Hiers, Naasir Kmeion Malvier Timmons, Morgan Europia Love Hiers, London Ashlei Murray, Jordyn Xavianna Hiers, and Carsen Malcolm Hiers. Grand Parents: Joseph Parks, Betty Jean Parks, Willie Mae Parks, Frank Hiers Sr, Mildred Hiers. Special Aunts: Shenae (John Murray) Hiers and Sharonica “Tip” (Dairrius) Swinton. Uncles Herbert Gregg, Ricky Gregg, Richard (Cynthia) Daniel, Gerald (Brenda) Gregg, Terry (Tonya) Gregg, Raymond Muldrow, Myron Hiers, , Larry Gregory, Ronald McCullum, Demetrise Thomas, Edward Thomas, Eric Bines, Sirmon Thomas and a close uncle Cedric (Tanesia) Gregg. Aunts: Krystal Bines, Tikle Thomas, Lula Hicks, Teyonna Johnson, Vernetta Sumter, Delora Thomas, and Linda Gail Gregg. Girlfriend: Ms. Crystal King and special cousins Johnia Murray and Nicholas Titus. A host of close friends who was know for being known for being his brother’s keeper and relatives.